Pantelis Karasevdas / drums, additional percussion on "Astral Lady Blues"
Kostas Stergiou / percussion, drums on "Absent Friends", electric guitar on "Wide Open"
Christina Koziraki / additional vocals on "Δίνη" and "Wide Open"
Petros Lamprides / contrabass on "Flower Child (Reprise)" and "Fingers"
Bjenny Montero / additional vocals on "Guilty Pleasure Theme"
A nice new album with a vintage essence! Prins Obi & The Dream Warriors is a new project whose self-titled album was released in the last 2018 quarter, it consists on a bunch of talented Greek musicians led by Giorgios Dimakis (whose moniker is in fact Prins Obi) who together have taken the essence of some 60s and 70s psych music to put it on a vase and mix it with some XXI century sounds that in the end create a very nice formula. I’d like to thank Stratos Psilos from Inner Ear Records for introducing this music to me, holy internet! The album consists of eleven tracks and a total time of almost 40 minutes. It kicks off with “Concentration” and since the very first minute you will be taken back to the 70s due to the evident classic rock sound that will make you even shake your body and head. Don’t blame yourself if you’d like to stand up a dance for a while. Please keep stood up because the dance will not cease at all when “Flower Child” starts. There is a great vintage feeling that brings in one hand the psychedelia of the late 60s, but in the other hand, the rhythm reminded me a bit of The B-52s. This is a wonderful song full of energy, the bass sound is addictive and the guitar in moments raw will not let the rock spirit go away. Now give me a bit krautrock! “Negative People” has a repetitive rhythmic base that could belong to some 70s German monsters, however, then it changes and the sound show the Greek origins of the band. The mix is wonderful, it has that vintage feeling so one could easily think this album was recorded decades ago. “Astral Lady Blues” as the title suggests, has that classic rock sound but complemented by the essence of blues. A wonderful guitar solo is shared here, while the fast rhythm makes drums unstoppable. I don’t know the band, but seems they had fun while recording this vintage rock album. “Fingers” has an evident David Bowie feeling, even more evident where the chorus arrives. I think this music will make us feel in a time machine, it will change our look and clothes and suddenly we will become new vintage men enjoying bands such as Cream, T.Rex or 13th Floor Elevators. Or even Pink Floyd, I mention this because the bass sound of “Δίνη” sounds a little bit like “Echoes”. As you can guess by the song’s name, this track is sung in Greek. The Greek spirit continues with “Αδαμάντινα Φτερά”, which has much softer sound, giving us a chance to take a deep breath and chill out for a while at least for a minute. The voice’s sound is crucial because it completely belongs to the 60s, it is impossible to think it was recorded in this decade. The changes on this track are great, funky guitars, a soft folkish flute and a rock sound with Mediterranean flavor. “Sally Junipero” has a nice organ sound, some soft wah-wah guitar and a bit prog rock feeling complemented by catchy vocals. Regarding the soft side of the album, this might be my favorite song, though in the final minute it explodes and becomes more energetic, creating an amazing joyful sound. “Guilty Pleasure Theme” has keyboards and drums that remind me of Floyd’s “A Saucerful of Secrets” era, though later when the chorus appears, the guitars reminds me of Jethro Tull’s “A New Day Yesterday”. There is even a Zappa-esque feeling here. 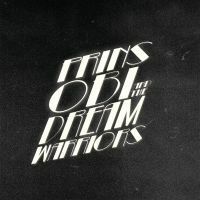 Seems Prins Obi & The Dream Warriors have taken the best from their 60’s idols and created original vintage music that any fan could enjoy. “For Absent Friends” is a short instrumental track with a delicate spirit made by organ and guitar, while some eerie noises appear suddenly. Its second part could work as the prelude for a progressive rock song. The album finishes with “Wide Open” which has a very melancholic vibe that tenderly closes this very nice vintage record. So, if you are a fan of old school psych rock this album will surely cause you a good impression, good memories and nice feelings. If this style of music is not what moves you, you could also have a good time with some of the tracks here.